Ice maker, as the name suggests is a consumer device to make ice. You might think why would I need one, while all I have to do is pour some water into the moulds and slide it into my freezer. Well, it might sound simple when you want just a tray of ice, but most of us would like to have ice on demand. That is when ice maker comes in handy. 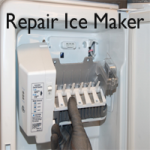 Here in this article, you are going to see how does an Ice Maker work. Just about a century ago, ice was hard to find in most parts of the world. In hotter parts, you would buy ice from vendors who delivered from an industrial refrigeration plant and was relatively a luxury which most people could not afford. At the turn of the century, affordable refrigerators made food preservation easier. In the 60s, with the invention of ice makers, life became easy. Before we understand how does ice maker work, we need to understand how the system is actually built. Most icemakers use an electric motor, water valve, and a heating unit and since all of them require power, icemakers need to be hooked to an electrical circuit. Refrigeration works basically on four components viz. evaporator, condenser, and compressor and throttle valve. The compressor converts refrigerant vapor into high-pressure vapor, while the condenser condenses it into a high-pressure liquid. The liquid is drained through the valve to reduce its pressure, while heat-exchanging occurs in evaporator and ice is created. This is called a refrigeration cycle. Now that we dealt with all the technical intricacies of the icemaker, let’s see how an icemaker works. How an ice maker makes ice? The basic ingredient to make ice is, obviously water. But beware! Do not throw in any water that you could get your hands on! You need clean and fresh water. Remember to always use filtered water, which would remove all the dust and suspended particles. Once the machine is plugged into a power and water source, the cycle begins. Once an electrical signal is sent, the valve is opened to fill water in the rectangular trough moulds. A sensor maintains the temperature of the freezer (~-12 F/10 degrees Celsius). The water then freezes to become ice. Now that ice is made, how do we get the ice cubes out of the mould? That’s slightly tricky. Ice cubes stick tightly to the walls of the mould and removing them directly might not be a great idea. So how ice makers work in such situations? Usually, there is a small heating element right below the mold tray, which provides just the right amount of heat to unmold the ice from the tray. The ice is now pushed onto an ice bucket and the icemaker begins the next cycle of ice making. Inexpensive refrigerators use a flip switch which will engage the circuit during the ice making cycle and disengage the circuit to mark the end of the cycle. Most expensive, modern refrigerators use high power sensors, like infrared, to do the same; they usually detect when the ice level to a certain point and then disengage the circuit. 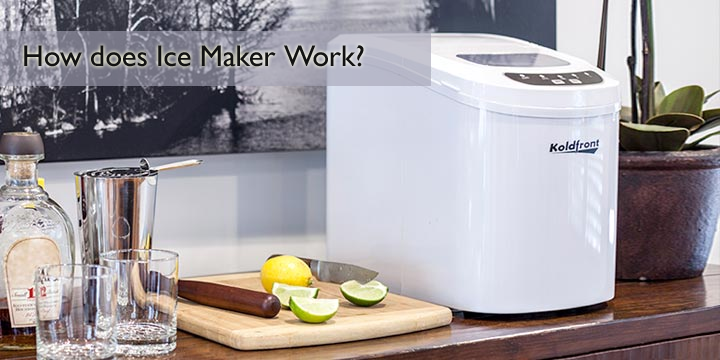 What to do when your ice maker does not work? We dealt all along with how does an Ice Maker work. Now let’s see what to do when your ice maker is stuck or doesn’t work. Most often icemakers don’t work as a result of a faulty thermostat; the water valve will not work if the temperature is not optimal. Insufficient water in the water supply line. Water filter needs to be replaced. The Takeaway – How does Ice Maker work? So next time when you fill in your soda or juice with ice, consider that the ice we take for granted, involves quite a bit of complex engineering and amazing science. 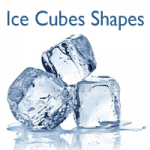 For more information do follow our Ice Maker Reviews Website.